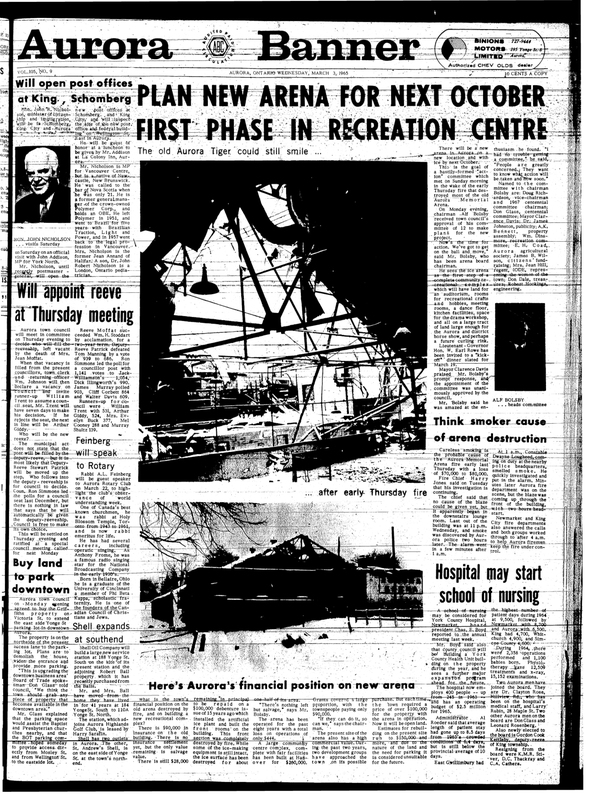 An early morning fire on February 25 1965 destroyed the Aurora Memorial Arena – losses amounted to about $70-80,000. Cause of the fire was never confirmed, but a smoker may have been the culprit. The Aurora Fire Department was helped by the Newmarket and King City Fire Departments. Plans were started immediately to build a new arena – just over 2 years later, in October of 1967, the Aurora Community Centre was opened to much fanfare.